Most anglers have a love-hate relationship with Beaver Lake, Matt Arey being one of them. Of course, after last weekend, there’s a lot more love. When Arey first broke into the FLW Tour in 2007, his worst finish that season was at Beaver. A year later, he made his first top five as pro, also at Beaver. Five seasons later, Beaver Lake became the sight of his first Major victory. Arey was able to grind out a close victory despite a last-day charge by a pair of top 20-ranked anglers in Andy Morgan and David Dudley. That allowed Arey to join both of them in the top 20 in the Majors Ranking, as he bumped up seven spots to 20th. Morgan can’t go any higher, as the No. 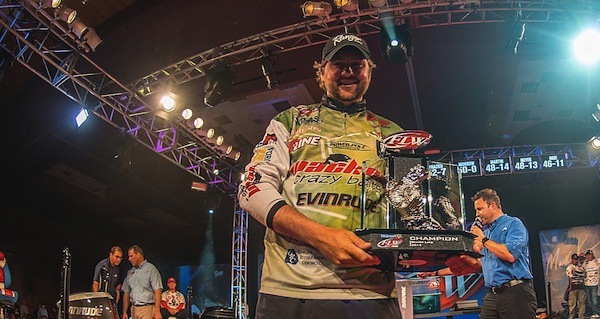 1-ranked angler and current FLW Tour Angler of the Year leader simply increased his lead in the latest ranking. Randall Tharp wasn’t near as fortunate, as he finished 91st at Beaver and slipped to ninth. Joining Tharp on the slide down the ranking was Shad Schenck, who slipped 12 places to 31st. But we’ll end on a positive note, with Adrian Avena climbing into the top 30, now in 27th.